A few pictures of... Mothman!! 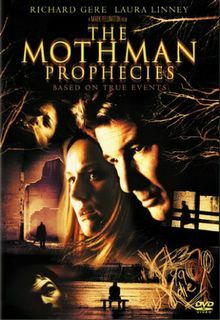 One evening, a couple of years ago, I watched "The Mothman Prophecies" with the Sasquatch and the Atomic Editor... It's not a great movie. I'm not a big Richard Gere fan. The film was based on true events. 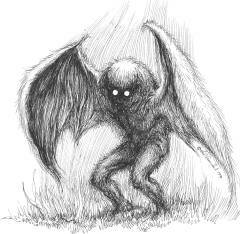 The Mothman was a hideous, red-eyed creature that supposedly kept appearing in a small West Virginia town in the 1960's. There's a pile of fugly Mothman "fan art" out on the Internet. Real pretty. Like I said, the movie wasn't very good. But we're pretty good at making our own fun. At one point, the Atomic Editor stepped out of the room and the Sasquatch and I started to talk to each other as the Mothman, in halting, monotone Tarzan speech. Don't ask me why. This, for no good reason, amused us greatly, and we laughed until we cried. The Atomic Editor returned to the room, wanting to know just what we'd been smoking in his absence. We all ended up laughing to the point of near nausea. Occasionally, Mothman prank calls the Atomic Editor at work. 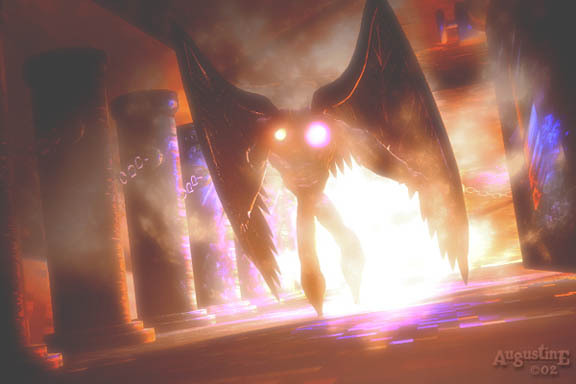 (Sometimes, Mothman miscalculates and calls the Atomic Editor when he's under a publishing deadline. And Mothman's middlewoman cringes.) 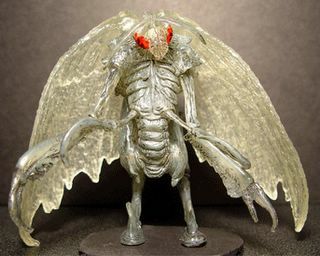 In our mythology, Mothman lives in L.A. and is vegan. He always wants to "do lunch" and talk about his network deals. "Mothman get sitcom offer. Mothman meet you at Sky Bar to discuss. 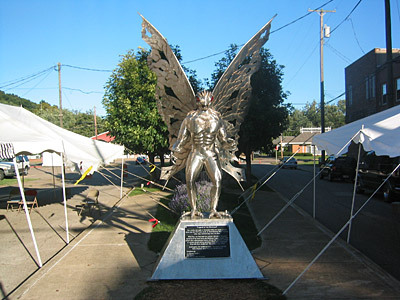 Mothman not sure about working for Aaron Spelling..."